Updated to meet the needs of the current music scene, KROME EX has a special emphasis on sounds that can immediately fit into productions of all types. In addition to standard sounds that will never grow old, KROME EX provides numerous programs and PCM data, including piano programs prepared specifically for this product. This instrument provides high-quality and immediately-usable sounds that take full advantage of the KROME's high performance specs. The body also features a revamped build and look to accompany the updated sounds. First Korg focuses on EDM (Electronic Dance Music), which has conquered the world. Rich, effect-laden polyphonic sounds that evoke massive rooms, clear and crisp synth leads, and punchy drum kits that get listeners moving are some of the staple sounds that Korg has added. Ethnic instruments such as steel pan, kalimba, and kokyu, as well as Hollywood-type sound effects frequently used in movie trailers or commercials are also provided. 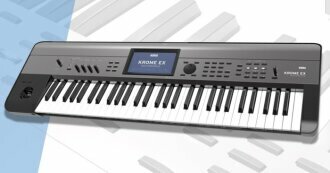 KROME EX features a musical catalog for today, where users can simply select a program and immediately begin composing fresh-sounding tracks. Piano sounds are critically important for nearly every keyboard instrument. 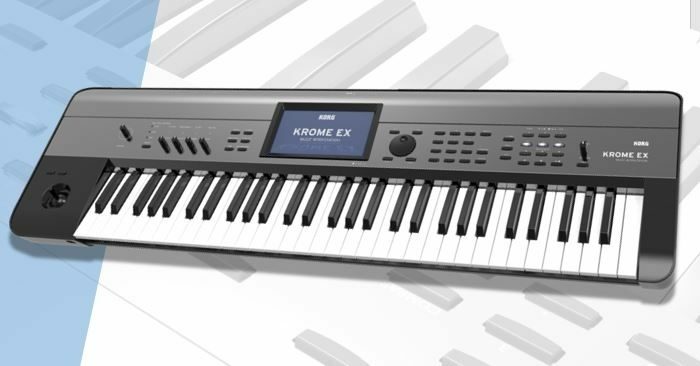 The KROME EX is equipped with updated grand piano sounds. These sounds were recorded under the supervision of Seigen Ono, an authority on DSD recording and mastering, and provide a beautifully clear sound that builds on the success of the "German D Grand" that exemplifies the original KROME, further expanding the range of piano sounds. An upright piano frequently used in pop is also included. When producing on a music workstation, the built-in drum kits play a major role. The KROME EX provides a massive collection of more than 2,500 drum samples to power its 48 preload kits. One of the notable kits is "Jazz Ambience Drums." Its generous sound takes advantage of KROME EX's high-capacity PCM memory to deliver a higher level of clarity and realism. Adjusting the mix balance between the direct sound (a mic placed near the head or cymbal) and the ambient sound (recorded from a distant mic to capture the resonance of the room), allows you to create a rich drum sound that has exactly the balance and character that you want. - Output Impedance: 1.1[kOhm] (L / Mono terminal: in case of Mono output = 550[Ohm]). Available until 11 PM (EST) today. Mention special code 202-82PB when you call.